Phoebe spent her childhood chasing stingrays through the surf and has always been fascinated by wildlife and the wild places they inhabit. After working closely with sharks at a Sydney aquarium, she completed at Bachelor of Environmental Science, Marine Biology, where she received first class honours for her novel work assessing the genetic diversity of Grey Nurse sharks in Australia. Phoebe has been mentored by some of the greatest minds in science and science communication at leading institutions including The Centre of Ecological Impacts of Coastal Cities and The Australian Museum. Phoebe received a full PhD scholarship to investigate reproductive biology and fishery impact in rays and was concurrently awarded the Teaching Fellowship at the University of Sydney. Now at Taronga Conservation Society Australia she divides her time between managing research and pathology at the Wildlife Hospital and leading her own research and lecturing at the new Institute of Science and Learning. 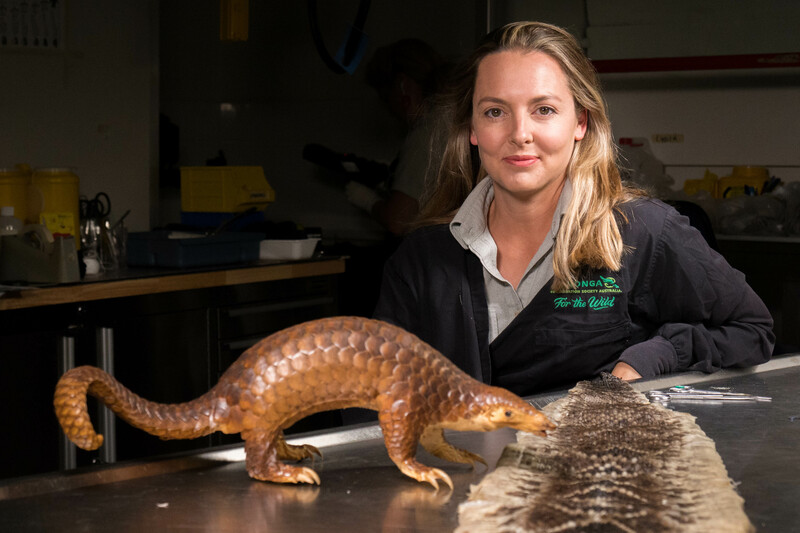 Using her experience in pathology with her understanding and passion for wildlife conservation, Phoebe leads the way forward in the emerging field of conservation forensics. Her recent groundbreaking work was accepted for publication and subsequently received media attention, including the cover story of the most recent Australian Geographic.